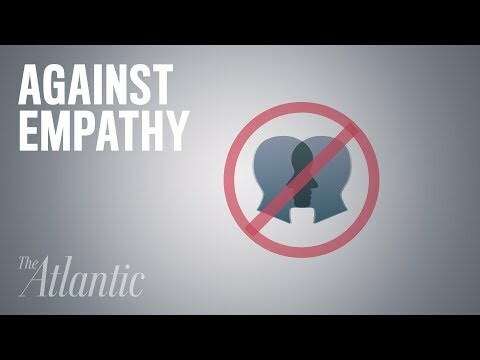 I'm writing a book on empathy. And I'm arguing against it. It makes the world worse. in the shoes of another person. Feeling their pain. them and more likely to help them. the long-term consequences of your action. than we do about global warming. of what he calls warm-glow altruists for charities. they give a little bit of money to each one. the charity takes a loss in your donation. best ends? How can I volunteer to make things better? altruists that make a bigger change in the world. by a sort of moralistic rush. a democratic country for going to war. our feelings for the suffering of their victims. But that's just one consideration. Another consideration is how many people die in wars? How many other victims will they create? let's destroy the whole country to save these people." we've killed 50,000 people. Who would've known?" more cold-blooded way think, how could I help others?